India has a lot of villages as most of the Indian states depend truly on agriculture. There are many villages where the population might not even exceed 500. The people in the villages migrate towards town for better job and standard of living. Below are 8 villages with less than 500 people which attract a lot of nature lovers. If you visit at the right season, these are hidden paradises in India. Shansha is a village in Himachal Pradesh. It has just 72 houses with 320 people. This village is located 27 km away from Keylong. This village is usually a hub for adventure lovers who trek towards Tandi through dangerous routes. This village has a greenhouse at a height of 10,000 feet from ground. This village is visited for serenity, adventure activities and used as a hub for travellers. Nitoi is a small but well-accessible village in Nagaland. About 402 people live in this village and it is a very beautiful and scenic place. It is a paradise for nature lovers and photo enthusiasts. People visit this village for a few hours stay on their way from or to Kiphire. This place has amazing backdrop of ice capped mountains, lush terrace vegetation and wonderful climate. Kanji is located in Leh of Jammu and Kashmir. It has 325 people. The place is located 12,600 feet above sea level. This village is very famous among adventure tourists, gorge trekkers and others who trek from Rangdum Gompa. The Kanji River attracts a lot of tourists too. The place has mountain backdrop and is picturesque. Skuru is a small village with 52 houses and 230 people. You need to trek for 4 days to reach this place in Nubra Valley from Saposte. Saposte can be reached by jeep. This place is very famous for adventure activities like trekking and Rakuruk River. This place is usually visited by all people who ride the motorable mountain passes. This village is located in Jammu and Kashmir at a height of 10,000 feet from sea level. It is better to visit during summer so that all adventure activities will be allowed. Kibber is a small village with 366 people in Himachal Pradesh. This village is located at 14,000 feet above the sea level making it the highest village in the world. There are only 80 houses in this village and they are made with a unique rock that is found locally. You can find a lot of interesting festivals in this village. This village is very close to Key Gompa. People, who visit this Gompa, pay a visit to this village to enjoy the nature and click some pictures. Sankri is a small village in Uttarkashi of Uttarakhand. There are 270 people in this village. This village is quite famous because this village has the last market that you would find on your way towards Kedarkanth trek, Har-ki-Dun Trek. 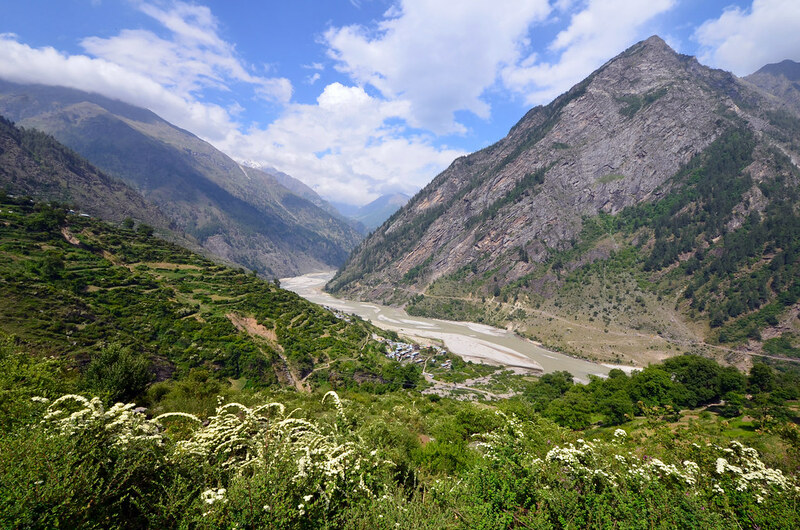 This village is constantly visited by trekkers during the tourist season. There are a few guest houses in this village and even families welcome trekkers to stay in their houses. It is a friendly village and the right time to visit here is during early summer or late winter. Xelpem is a small village in South Goa. The population is 255 and this village is located on the banks of Salaulim River. This village unfortunately has no beach. But, people visit this place frequently for the ruins of Kurdi Mahadev Temple and for nature around it. The river bank is a picturesque place in this village. Can you guess the population in this island? It has only 16 people living there. This island is ironically located in the west of Andaman Islands. Though it is a very small village, there is a shack for visitors. You can visit the island on catamaran. There are a few cruises that take you to this island for a small getaway.